A full-body workout that targets flexibility, strength and metabolic training through dynamic movements that seamlessly 'flow' from lower body to upper body to core. A Pilates-based workout featuring the ultralight (10lb) Axle Bar that emphasizes deep core engagement, flexibility and alignment as well as multiplanar strength. 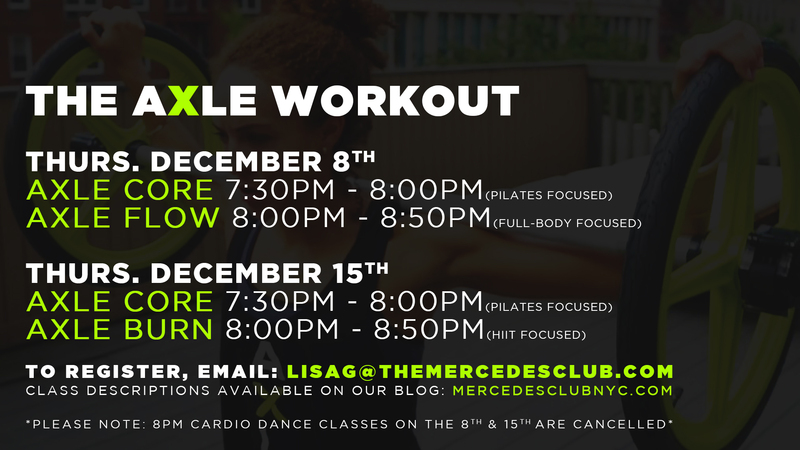 A HIIT class that emphasizes full body plyometric exercises paired with signature Axle bracing movements. A high intensity workout based on sport-specific training.